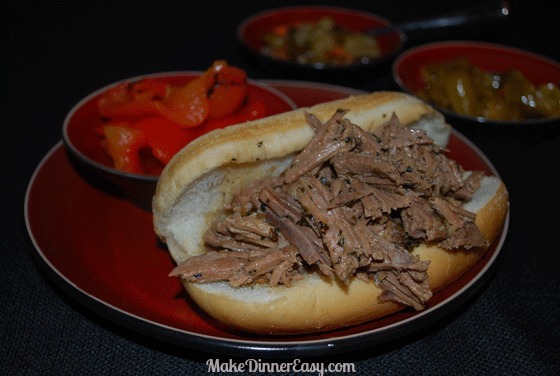 Place beef roast in a slow cooker, fat side up. Pour broth into a medium saucepan and add all other ingredients. Stir well and bring to a boil. Pour broth mixture over the roast. Cover and cook on high 8-10 hours. If possible, turn roast over after 5-6 hours. Prior to serving, flip roast over again and scrap off any visible fat. Remove the roast from the slow cooker and using two forks “shred” the roast. Return the beef back to the broth in the slow cooker. Serve on Italian rolls with peppers if desired. 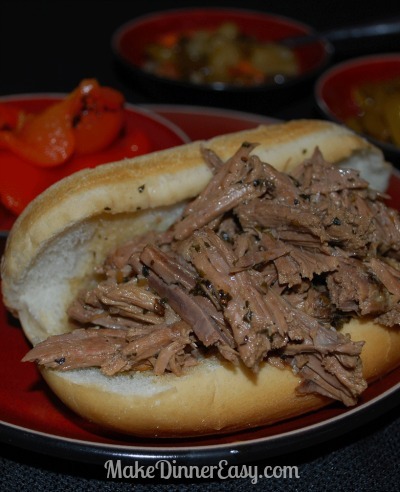 I live in the Chicago area and one thing Chicago is known for is Italian Beef Sandwiches! I've seen a lot of recipes that call for hot pepper juice as one of the ingredients and while I've tasted that recipe and enjoyed it, my family prefers this recipe that has more of a beefy oregano flavor. 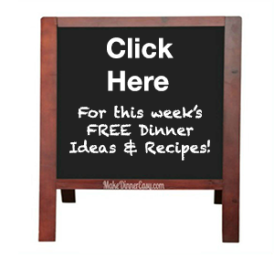 When ever I see any kind of roast beef on sale, I buy it to make this recipe. People often ask what kind of roast to buy. My answer is whatever is on sale. I've used eye of round, bottom round as well as other cuts, and they all work well. The best part is it only takes 10 minutes in the morning. If you are really pressed for time in the morning, you can get away without heating the broth and spices together. In a pinch I have just poured the spices over the beef in the slow cooker and poured the broth on top of that. When you boil the spices and broth together it does help to blend and enhance the spices but if you're in a rush you can get away with skipping that part! If you live in Chicago you probably know how to order an Italian Beef Sandwich. People frequently order them "dipped" or "wet" which means holding the sandwiches with a pair of tongs and dipping it in the hot juice. Even if you don't do that, pouring a little of the juice over the meat after it's placed on a bun will make it a little extra yummy! If you make this, I would love it if you added your feedback below!